He was just so happy to be safe. Cheech was picked up on the streets of Texas and taken to a big local shelter when he was 2 years old. 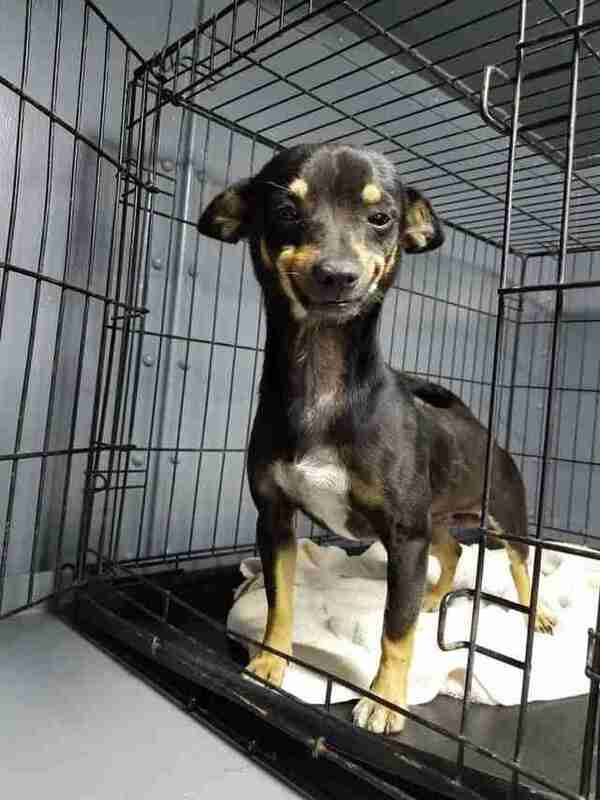 He was then pulled and taken in by the City of Waller Animal Shelter and Rescue. 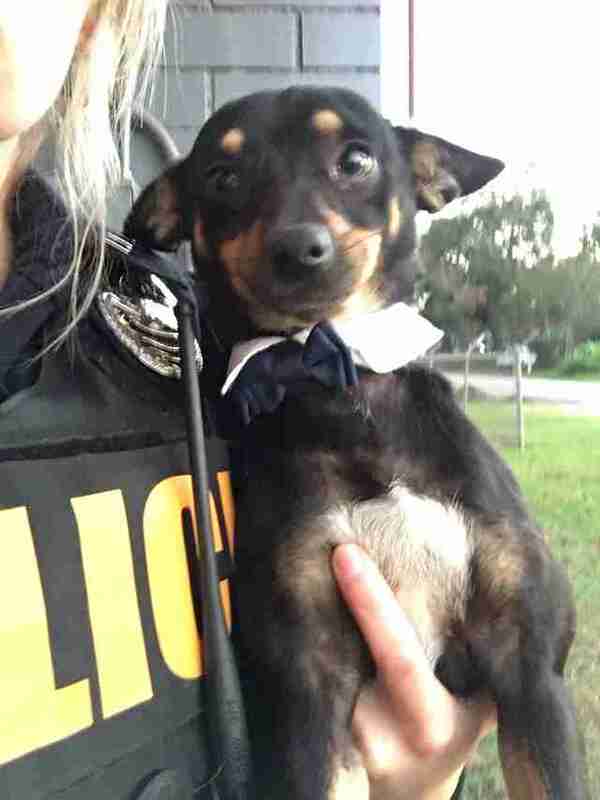 He was incredibly tiny, and staff assumed he might be a little scared or nervous in his new environment — but Cheech quickly proved them wrong. 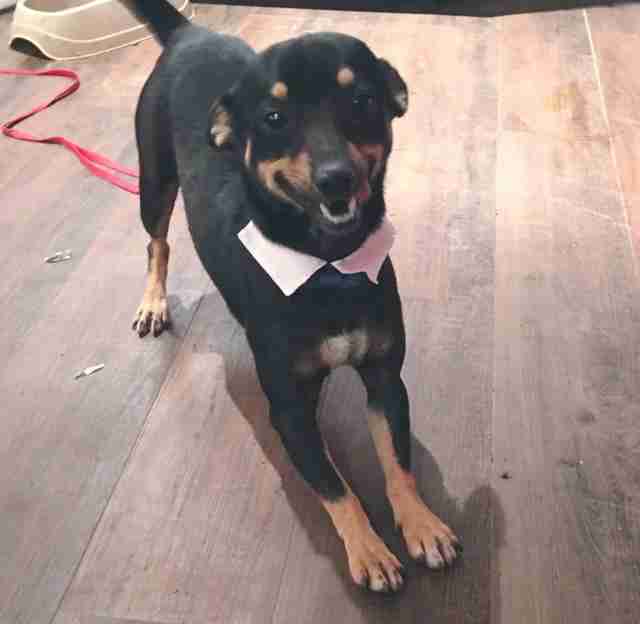 … but Cheech quickly flashed them the cutest, cheekiest smile, and from that moment on, everyone fell in love with the charismatic little dog. 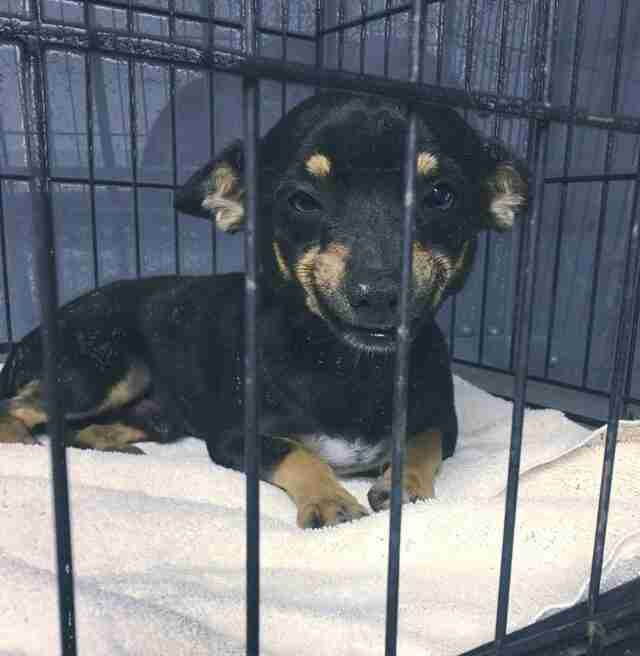 Wanting to share Cheech’s perfect smile with the whole world, Sipe posted a photo of him smiling on the shelter’s Facebook page — and the internet quickly fell in love. 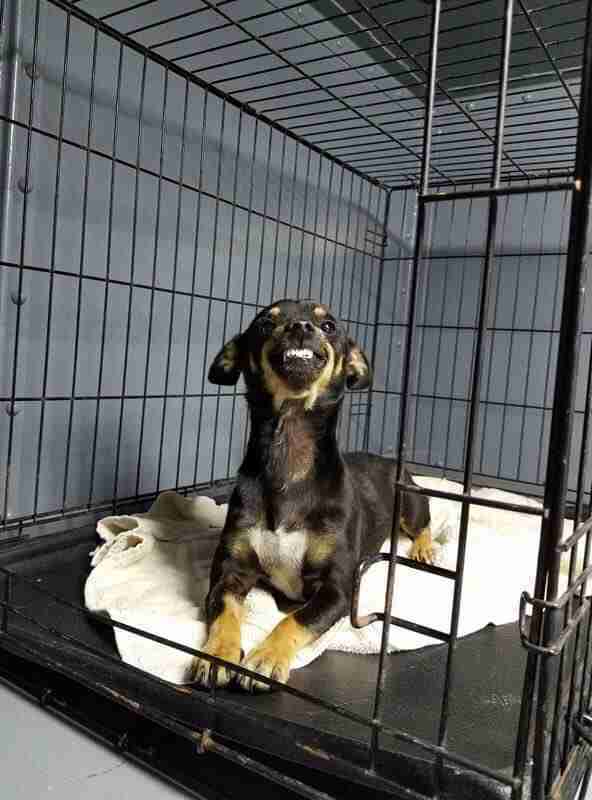 The post got over 7,000 shares, and before long, the smiling dog had over 50 applications from people wanting to adopt him. … and, of course, so was Cheech. … and after meeting Cheech, it became clear that the pair were going to be perfect for each other. 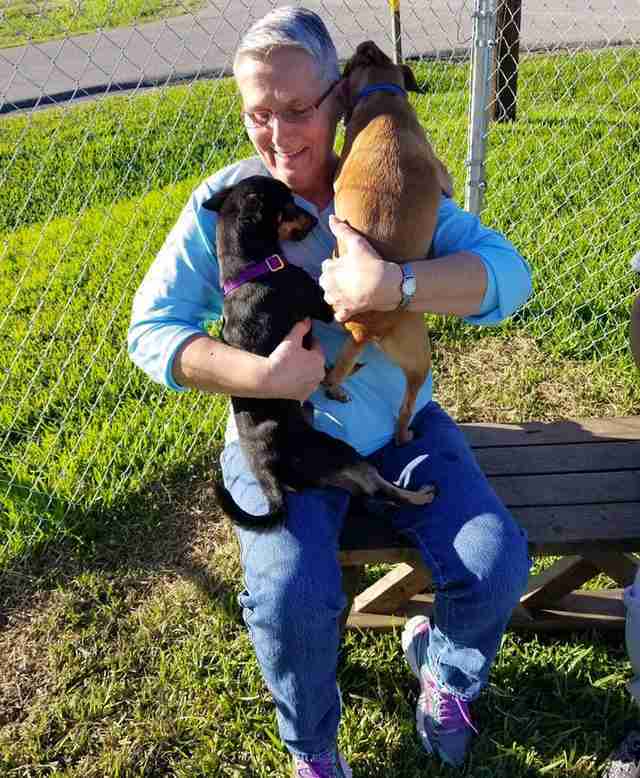 All Cheech wanted to do was cuddle with Dusty and his mom, and everyone who knows Cheech is so thrilled that he’s found the perfect family. The City of Waller Animal Shelter and Rescue is brand new, and is currently being built and renovated from an old jail. The shelter officially opens its doors on November 12th, and thanks to Cheech and his winning smile, the pups at the shelter will not doubt have lots of potential adopters lined up when it finally opens.